As we get ready for the baby to come in just a few short weeks, we've tried to take in everyone's advice on what to do before the baby arrives. One of the most popular suggestions? Spend more time together. 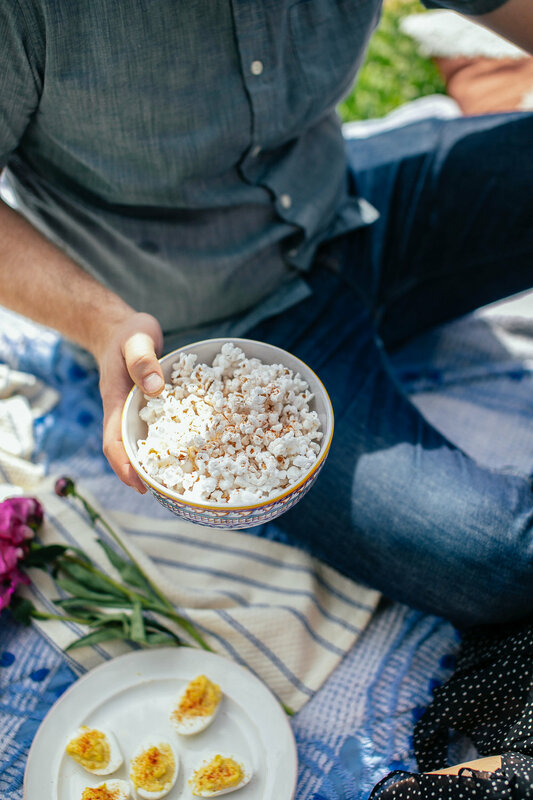 Since then, the hubby and I have been trying to be more intentional about making time for each other, whether that be a movie night or cooking a dish together. 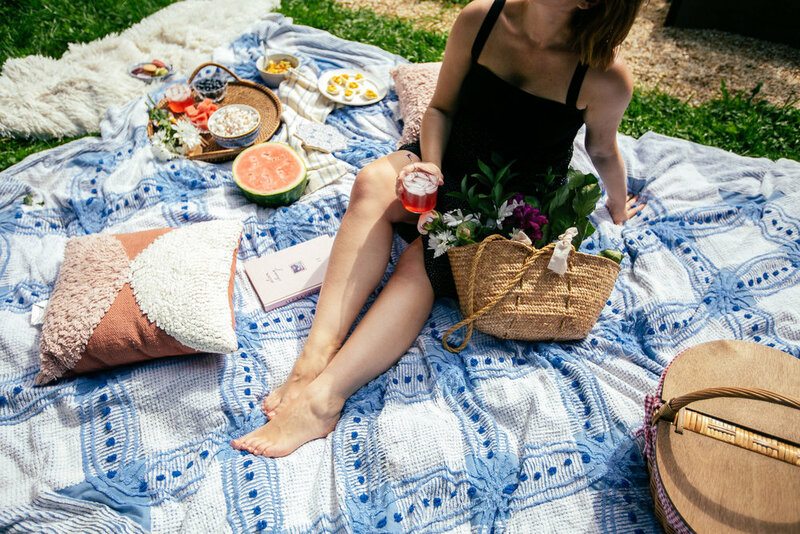 On a particularly gorgeous afternoon last week, we decided to have a romantic little picnic together. 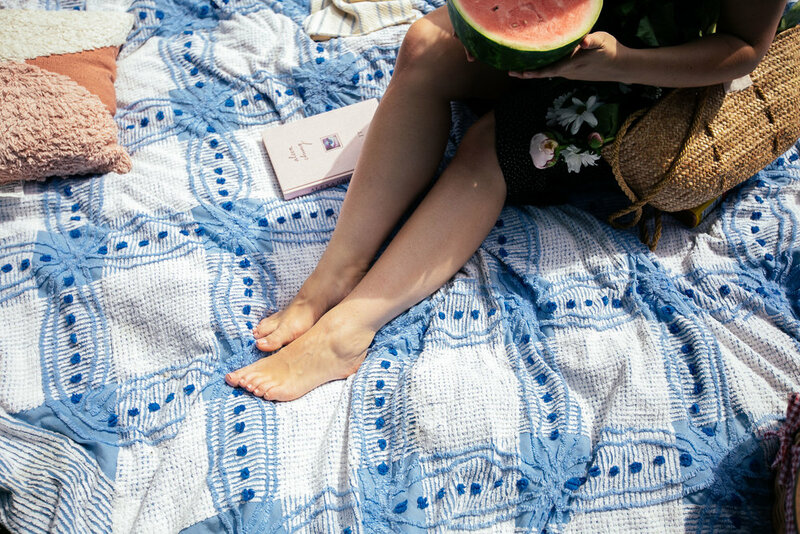 It's sort of our go-to when it comes to beautiful days...even during our dating years, we'd head into Georgetown, pick up picnic essentials at a market, and picnic on the canal. To be honest, I had never made these before, but I LOVE eating them. I thought using OLD BAY's seasoning would add a fun twist to the recipe we found online, and they turned out amazing! The hubby loved them. I have been craving fruit extra hard this summer, so Shawn picked up an amazing watermelon and blueberries at the farmer's stand on his way home from work that week. We're growing zucchinis in our garden this year, so I thought they'd be fun to incorporate into our picnic too! I sautéed up some zucchini squash and set it in the fridge so it'd be nice and cool for our picnic. I added a bit of OLD BAY seasoning to it for a little extra added kick! I had gotten some macarons from Laduree a few days before, and with my recent sweet tooth, they made the perfect dessert for our backyard picnic date! This summer, OLD BAY wants you to help us show how the D.C. area does #OLDBAYOurWay. #OLDBAYOurWay is a summer-long local contest for loyal fans in Baltimore and D.C. to show how they’re celebrating summer together with OLD BAY. 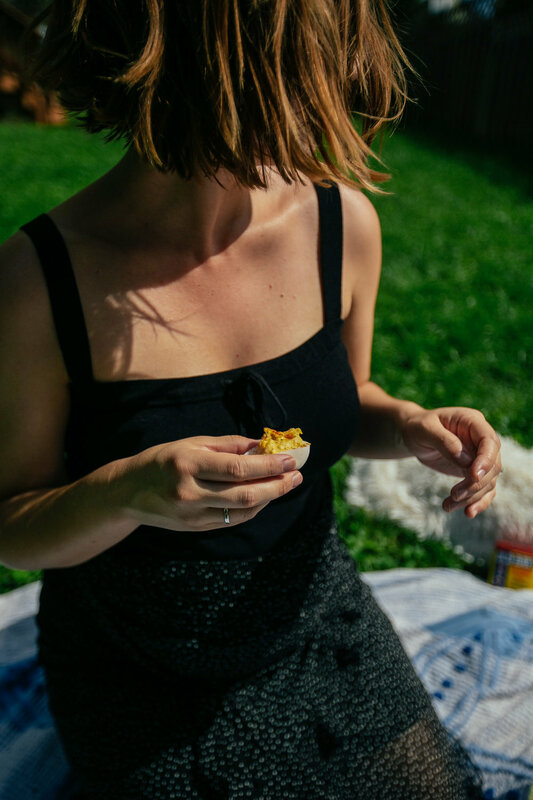 Share your favorite moments of summer with OLD BAY on Instagram, using the hashtag #OLDBAYOurWay, for a chance to win a season’s supply of OLD BAY seasoning and swag! Find all the official rules here! This post was done in partnership with OLD BAY. Be sure to follow along on their social channels (Instagram/Facebook) for the latest recipe ideas and ways to celebrate the summer!